" from John Carpenter (director of Big Trouble in Little China, Halloween, the Thing, Escape from New York) and Anthony Burch (writer of Borderlands 2) comes the story of old man Jack Burton's final ride in the Pork-Chop Express.
" the year is 2020, and hell is literally on Earth. 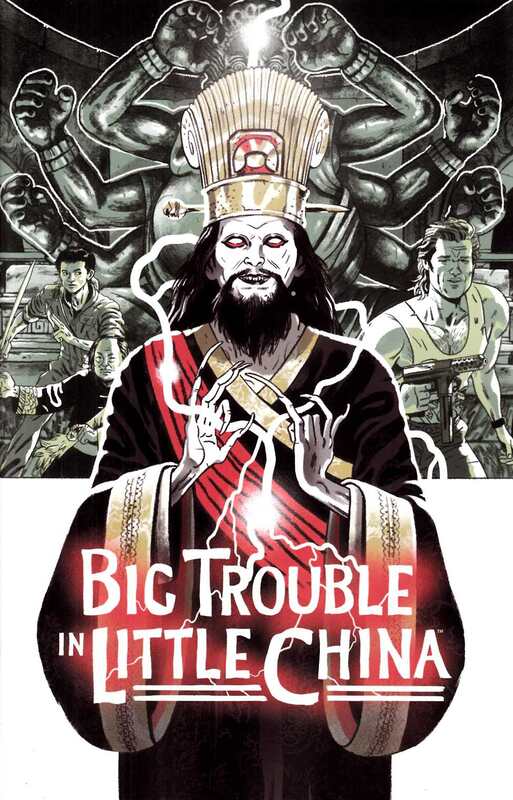 Ching Dai, sick of relying on screw-ups like Lo Pan to do his bidding, has broken the barriers between Earth and the infinite hells, and declared himself ruler of all.
" Sixty-year-old Jack Burton is alone in a tiny corner of Florida with only his broken radio to talk to, until one day it manages to pick up a message. Someone is out there in the hellscape, and they know a way to stop Ching Dai.